Fans of Vancouver-based artist Ryan Heshka are familiar with his go-to subject matters. In 2014, he combined several of his campy passions in Mean Girls Club, an art installation and accompanying two-colour “Risographed” over-the-top comic-book story of bad girls gone worse, fighting, stealing, and murdering their way through life. 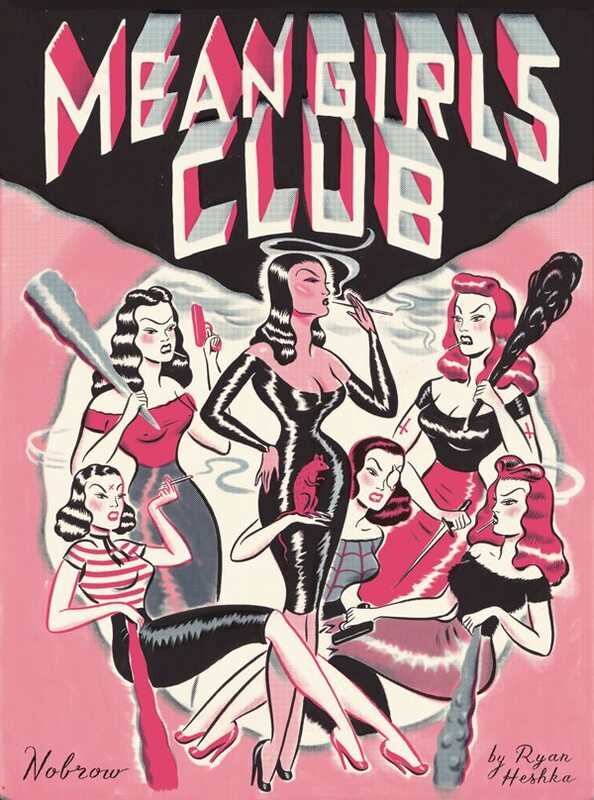 A new, expanded edition of Mean Girls Club, published by U.K.-based Nobrow and being released in North America in February, brings the process full circle, mimicking Heshka’s Risograph technique with a more conventional, less expensive, printing process.